Friendly’s Smart Home management provides easy and effective remote connection and management of the smart home. With the Friendly’s platform, service providers can gain additional income by providing Smart Home solution to their subscribers. Friendly’s Smart Home Portal offers server applications and mobile application to manage the smart home, including cameras, security, appliances, lights, power grid, , smoke and motion sensors, front door and window status, and more. Friendly’s Smart Home provides subscribers with a single, easy-to-use interface – regardless of each device’s specific manufacturer or model. The product was designed specifically for carriers and service providers interested in increasing APRU by providing additional, value-added services to subscribers. End-to-end solution for IoT/M2M device management that includes server application, embedded clients and management platforms. Friendly’s IoT/M2M platform enables the remote management of any device type and provides comprehensive solution for the utility, healthcare, home and industrial markets for remote management and monitoring of devices. Successful device management requires the use of a device-embedded client as well as a management platform, and Friendly’s provides both. Friendly’s embedded clients are built to handle also constrained devices with limited RAM, connectivity and power capacity such as sensors, transponders and chips. As a fully unified solution, the management platform is flexible enough to adapt itself to any device type and allows providers to sidestep the time-consuming and expensive process of installing platforms specifically to each device type. Friendly Technologies connects and manages IoT/M2M and Triple Play services, making them accessible and manageable anytime, anywhere. 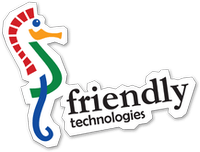 With its easy-to-use Smart Home management solution, Friendly allows service providers and their customers to control and monitor all aspects of the digital home- from appliances and security sensors, to power management and broadband services. Available either as a software-as-a-service (SaaS) or as on-premises software, Friendly’s solutions manage and communicate with millions of IoT and M2M devices and support a full range of protocols including TR-069, OMA-DM, LWM2M, XMPP and MQTT. Friendly Technologies accelerates the deployment of quintuple play services to mass markets, enabling operators to increase ROI while reducing operating expenses.